The MiFILE Integration Guide provides detailed information for courts or CMS/DMS makers to help integrate to the MiFILE system. Click on the link below to download the guide in PDF format. 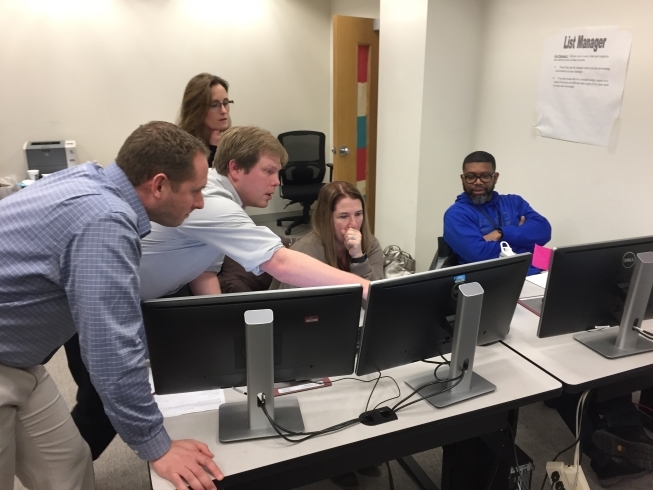 The MiFILE project continues to make progress as the program team collaborates with the three model courts to develop the expanded version of MiFILE that will serve as the standard model implemented across the state. The three model courts include the 22nd Circuit Court (Washtenaw County), the 37th District Court (Warren), and the Ottawa County Probate Court. In September the program team will begin meeting with the three model courts on a monthly basis. The focus will first be on case management system (CMS) integration and additional pre-implementation activities, such as completing a readiness assessment that will provide an understanding of each court’s current technology landscape and business processes. Pilot Courts – The Pilot Courts Workgroup was established to document and incorporate lessons learned and best practices from the pilot court implementations. This workgroup has been meeting since early spring and has focused on what did and did not work for the pilots, in the interest of helping to build a better standard solution. The group has provided input on e-mails generated to filers in MiFILE, process servers, issuing a summons, seals, order processing, electronic service, case evaluation, court reporter filings, clerk usability, forms, notes, and deleting cases. A survey will be sent out to the pilot and model courts to solicit input on standard filing types, rejection notices, seals, and nonpublic documents. 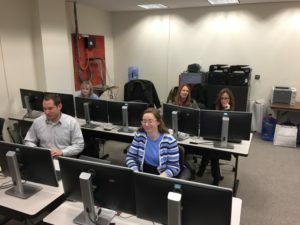 Appeals – The Appeals Workgroup began in October 2017 to provide input on how the MiFILE system will work with the Court of Appeals and the Michigan Supreme Court. The group reviewed the court rules and processes to determine the best option for appellate practice within the MiFILE system. During this same time, SCAO analysts observed and met with individuals from the Court of Appeals and the Michigan Supreme Court to review internal processing. Analysts are drafting proposed revisions to the appellate court rules and business requirements and will present them at the next workgroup meeting. Bulk Filing – The bulk filing workgroup was established to inform the processes and system requirements around bulk filing. The Bulk Filing Workgroup met twice in May of 2018, first with court staff and then with law firms, to compile business requirements as they relate to bulk filing. SCAO is now working with ImageSoft to develop a bulk-filing process that will meet the needs of the stakeholders. 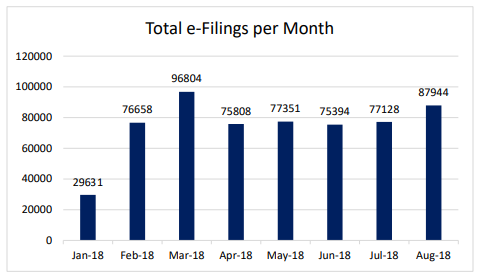 For further information or questions, please contact efiling@courts.mi.gov. 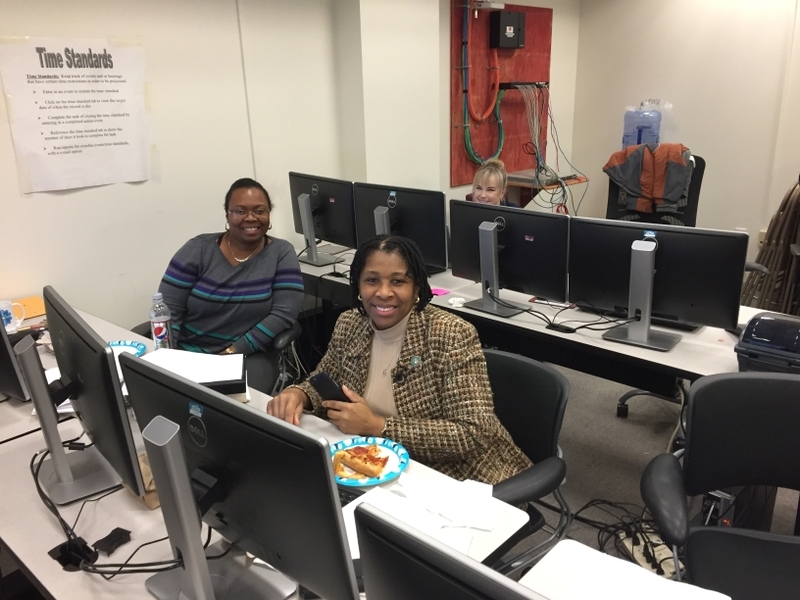 The 3rd Circuit Court (Wayne) went live with the new MiFILE system on February 5, 2017. MiFILE includes the new TrueFiling 3.0 platform, along with enhancements to the court’s internal workflow system. This release allows e-filing of Civil and Criminal case types. Here’s are some pictures of the MiFILE team performing last minute testing in the training room at the Coleman A. Young Municipal Center. For attorneys and staff that file into the largest court in Michigan, the Wayne (3rd) Circuit court, the MiFILE site is now available for you to setup your login and prepare for the February 5 switch to MiFILE for e-filing. We strongly encourage all attorneys and legal staff with active cases to get their logins setup ahead of time and go through the training so that you’re ready to go on 2/5. You can login to MiFILE by clicking here.